Good news, Glambert fans! 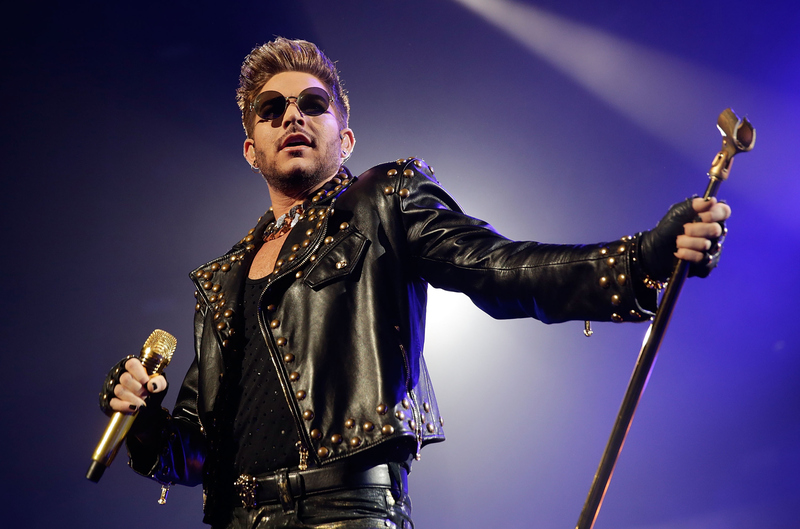 Pop singer Adam Lambert is finally completing his third studio album. Last week, Lambert wrapped up his wildly successful world tour with rock band Queen, telling his followers on Twitter, "I'm thrilled to get back home and complete my upcoming third solo album." The last time Lambert spoke about his as-yet-untitled third studio album was back in June, when he told Rolling Stone that it wasn't finished yet and he wasn't going to "rush" the project. Now, he's apparently headed back into the studio to "complete" it. Does this mean that the new album's almost finished? Maybe. Can fans look forward to hearing new music from Lambert before the year is out? It's definitely possible! I'm working on my third album. I've already put in a good amount of time in the studio and I'm going to continue and finish it. I'm very excited. I think it's going to be really great, with stuff on there that is a slightly different direction [from what I have done] before, which I'm really looking forward to because I don't like repeating myself. I am working with some amazing producers and I think people are going to be in for a treat. We also know that Lambert traveled to Sweden in March to work with pop music genius Max Martin — and that's fantastic news. Martin has been setting — not following — musical trends for the last 16 years, and his past work with Lambert is, in my opinion, some of the singer's best. Lambert and Martin collaborated on two songs that appear on Lambert's debut album, For Your Entertainment: "Whattya Want From Me" and "If I Had You." Joe Janiak, a U.K.-based songwriter who works closely with Martin, told Billboard in March that we can expect to hear "big things" from Lambert's new record. How exciting is that? In Dec. 2013, Lambert told Rolling Stone that if he didn't release a follow-up to his last studio album, 2012's Trespassing, by the end of 2014, "something is seriously wrong." Time is running out! But, to be fair, that was before Lambert's world tour with Queen kicked off, which I imagine may have altered his timeline a bit. I'd love to hear new music from Lambert before the year is over, but he's made it clear that he's committed to making the best album possible, regardless of how long it takes — and you have to respect him for that. I might feel differently if we had a better sense of how close Lambert truly is to finishing his third studio album, but as it stands, I'm not confident that we'll hear new music from him in 2014. But, hey, anything is possible! I hope to have more updates on Lambert's new album soon.